Creating new pathways, for the exchange of information. Get your message out . . . beyond your own customer base!!! Networking . . . connecting people and information!!! The 2018 season is over!!! What will you do, to make 2019 better? I certainly don't have all the answers, for every company. However, including things such as, getting your message to more consumers and trade members, improving your brand recognition amongst consumers and trade members, getting information about new products into the right hands, better informing the public and the trade and, possibly most important of all, creating good will, as regards your company and brands are the places to start! Great new products, product improvements and innovations are all admirable accomplishments. However, if the word does not reach the right people, their true potential may not be realized. My fan mail and feedback suggests that I create a lot of good will, amongst consumers and pool and spa professionals alike. I have answered tens of thousands of email questions and have hundreds of thousands of actual website visitors, every year. I have been bookmarked or saved as a favorite, by countless people, in every state and around the world. Some non-affiliated companies are even using my website as an in-house resource. Would you like to reach dealers and consumers that are not already part of your existing base? New exposure can mean new opportunities! You probably will not give up advertising! So why not get the most for your money? Become a website sponsor and get the benefits of having traffic directed to your website, from links, throughout my website. People want answers and information and I help them find it. Why not become part of it? I can't possibly replace your own website. However, I'll help your website receive more, better quality traffic. Cost should not be an obstacle, given the benefits and modest price, as compared to some other alternatives! Scroll down for more information. It might could be your most cost-effective, good idea, for 2019 and beyond. Just take a look at my Website's Search Engine, located near the top right-side of every page, and see what it does with your product category! Hundreds of thousands of annual visitors - real visits from real pool and spa owners and professionals . . . click . . . click . . . click. This is an opportunity to make something happen! The website has been recently redesigned, with the mobile devices in mind. The full features of the website are completely useable on I-Pads, Tablets and Smart phones. Everything is readable and works well on touch screens. There should be no annoying side-to-side scrolling. No matter what, a visitor has access to lots of helpful information and a selection of interesting pool and spa products. Best wishes for success, in the coming season. 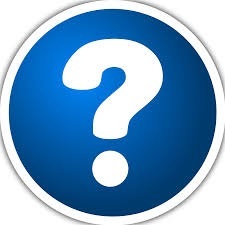 The AskAlanAQuestion.Com website is dedicated to providing information to pool and spa owners and dealers. Click here for information about the website creator. The content is based on real-life situations and goes well beyond the typical Pool or Spa Care Guides. Visitors are directed to the website from the high rankings on the leading search engines or from links on affiliated websites (at their option). Questions are answered in a timely manner and in uncomplicated language. Only those questions that contain unique informational elements or help promote useful product awareness are included in the archives. As many as 10,000 e-mail questions have been answered, every year, from every state and around the world. For EACH e-mail question actually received, there can be a HUNDRED visitors that are content to browse through the website, searching for information or using available links to visit the websites of affiliated pool and spa sponsors. 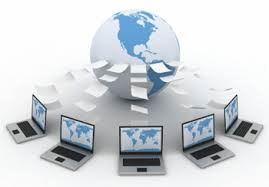 More than 15,000 hyperlinks, effortlessly put consumers, dealers and service professionals, in contact with Informational Pages and more than 2000 archived Q and A, on more than 185 website pages. Over 3,500 hyperlinks, distributed throughout the website, will take a visitor directly to a sponsoring company's own website. Some trying times are still ahead for this industry. Thinking creatively and outside of the box will become a necessity. Website sponsorship offers an opportunity to reach huge numbers of pool and spa owners, beyond your own customer base. It helps increase product exposure and creates good will. For probably a fraction of the cost of a one-time magazine ad, you can reach out to tens of thousands of consumers and dealers, every month. The website can produce results for you 24/7, 365 days a year! Get maximum results with your advertising budget! You will get payback and more! If you want to reach vast numbers of new people, consumers, dealers, distributors, professionals, operators, technicians and more, this is a very cost effective way. Take advantage of the website's search engine placement. And you will create good will, by supplying access to information and assistance. There are no hidden charges, such as page hits. The Search Engine, located near the top right-side of every page, will find all relevant information present, on this website. Just being, a part of the askalanaquestion.com website, assures that your Company and Products will be discovered. And these are not necessarily the same visitors, that would have gone to your own website. New people = new opportunities! Blogs are discussing this website favorably, in International locations, and in languages other than English: French, Spanish, German. We have shipped to about 100 out of US destinations. With the addition of a limited number of hard to find products for sale, none of which interfere with sponsors' products, the traffic has continued to increase and brought in another type of visitor. The revenue, produced by these sales, has helped to keep the cost of affiliation modest. In a few cases, a sponsor has allowed me to sell their products, as well as promote them to the website's audience. At the end of the day, it translates into more traffic, for all concerned. Click here to read through some feedback from Homeowners, Professionals and Sponsoring Companies. "Companies that fail to embrace the productive technologies of the day are destined to fall off the leading edge, resulting in a failure to grow the brand, that will surely be an assault on the bottom line." Quote attributed to an unknown source. Preview Page: a page dedicated to a particular manufacturer's product or product line. Content to be supplied by the affiliated company. This page is accessible from the "HOME PAGE, POOL-SPA HELPLINE LINK, POOL TOPICS LINK and/or SPA TOPICS LINK, on the top of every page. It is also accessible from the ABOUT ALAN Biographic Page, from the WEBSITE TABLE OF CONTENTS Page and from linked and highlighted keywords & catch phrases and linked Images (150 X 112 pixels) in the archived questions and answers. All Preview Pages are linked to the sponsoring manufacturer's website, providing a easy means to obtain more product information. Linked Keywords and Catch Phrases: throughout the archived questions and answers, and glossary are words that are linked to a sponsoring manufacturer's Preview Page or website. This is an important feature, if the product figures into the archived Q and A! These are equivalent to sponsored links and are placed, in-context, amongst relevant Q& and A and glossary terms and are linked to an affiliated company's Preview Page or website. Linked Random Still Images: these still images open up, two at a time, side-by-side, in a totally random basis, on the following website pages: Home Page, Pool Problems Page, Spa Problems Page, Pools and Equipment Information Page, Spas and Equipment Information Page, We Get Feedback Letter Page, About Alan Biographic Page and The Links to Useful Websites Page. This feature is present near the top of this page, as well. Each time a person visits or returns to any of these pages, 2 new still images appear, on a completely random basis. These images are linked to a Manufacturer's Preview Page or a Website. These are highly visited pages! Linked Q and A Images: added to three or more appropriate pool or spa subject pages, amongst the questions and answers, these linked 150 x 112 pixels images are used to help direct traffic to a sponsoring manufacturer's Preview Page. Uses 150 x 112 pixel images. Useful Links: an alphabetical listing of affiliated companies, accessible from the HOME PAGE, POOL PROBLEM PAGE, SPA PROBLEM PAGE, POOLS and EQUIPMENT PAGE, SPAS and EQUIPMENT PAGE and ABOUT ALAN BIOGRAPHIC PAGE and are directly linked to sponsoring companies' websites. Table of Contents and Index Page: your product and company name will be listed in the Table of Contents, under the PRODUCT INFORMATION CONTENT heading. The listings will be linked to your Preview Page or Website. Still Images, Linked: adding an image or a group of smaller images (up to 300 x 225 pixels in area) of a product or logo will draw attention and direct traffic to the manufacturer's Preview Page. It can be added to any Pool or Spa Q and A subject page, if still available. The images will be linked to a sponsoring manufacturer's Preview Page. Preview Page: a page dedicated to a particular manufacturer's product or product line. Content to be supplied by the affiliated company. This page is accessible from the "HOME PAGE, POOL-SPA HELPLINE LINK, POOL TOPICS LINK and/or SPA TOPICS LINK, on the top of every page. It is also accessible from the ABOUT ALAN Biographic Page, from the WEBSITE TABLE OF CONTENTS Page and from linked keywords and catch phrases and linked Images (150 X 112 pixels) in the archived questions and answers. All Preview Pages are linked to the sponsoring manufacturer's website, providing a easy means to obtain more product information. Linked Keywords and Catch Phrases: throughout the archived questions and answers and glossary are links to a sponsoring manufacturer's Preview Page or website. This is an important feature, if the product figures into the archived Q and A! These are equivalent to sponsored links and are placed, in-context, amongst relevant Q and A and glossary terms and are linked to an affiliated company's Preview Page or website. Linked Random Still Images: these still images open up, two at a time, side-by-side, in a totally random basis, on the following website pages: Home Page, Pool Problems Page, Spa Problems Page, Pools & Equipment Information Page, Spas & Equipment Information Page, We Get Feedback Letter Page, About Alan Biographic Page and The Links to Useful Websites Page. This feature is present near the top of this page, as well. Each time a person visits or returns to any of these pages, 2 new still images appear, on a completely random basis. These images are linked to a Manufacturer's Preview Page or a Website. These are highly visited pages! Linked Q and A Images: added to three or more appropriate pool or spa subject pages, amongst the questions and answers, these linked 150 x 112 pixels images are used to help direct traffic to a sponsoring manufacturer's Preview Page. Still Images, Linked: adding an image or a group of smaller images (up to 300 x 225 pixels in area) of a product or logo will draw attention and direct traffic to the manufacturer's Preview Page. It can be added to any Pool or Spa Q and A subject page, if still available. The images will be linked to a sponsoring manufacturer's Preview Page. All images must be in PGN, JPG or GIF format and fit within an area of 300W X 225H pixels. ►► Package "A": includes the following features: Maximizes a manufacturing company's POOL or SPA website presence and helps direct traffic to their Preview Page and website, through the use of linked images, keywords and catch phrases. Links throughout the Q and A archives and Glossary, function as "sponsored links" and make this feature especially effective. Every effort will be made to randomize the contracted website features, so that the exposure is mutually beneficial. Inclusion in the Linked Random Still Images feature, 300 X 225 pixels PGN, JPG or GIF, that is located on 10 key pages. Preview Page (1 page in length) with a product listing on EITHER the "Pools and Equipment" Page OR "Spas and Equipment" Manufacturers Page and linked to the manufacturer's own website. Listing in alphabetical order under "Links to Useful Websites" and linked to the manufacturer's website. Placement of 3 or more Linked Images, size 150 X 112 pixels, in the Q and A on 3 or more pool or spa Problems Pages of your choice and linked to the manufacturer's Preview Page. Up to 25 linked "catch phrases and keywords," throughout the archived Pool or Spa Q and A Pages and Pool and Glossary, that are linked to the Preview page or the Manufacturer's website. Functions as strategically located sponsored links. A real traffic booster! Placement of a single or group of linked still images, up to 300 X 225 pixels in total size, on a pool or spa subject page of your choice, if still available. All images will be linked to a Preview Page. If feasible, a new subject page will be created, at no additional cost. Listing in the Table of Contents. 1-image or graphic, 300 X 225 pixels, PGN, JPG or GIF. 2-pages of copy and/or graphics, with elements up to 600W X 300H pixels in size. 1-image or graphic, 150 X 112 pixels, PGN, JPG or GIF. 1-grouping of images and/or graphics, up to 300 X 225 pixels, PGN, JPG or GIF. Free Preview Page Design and Layout! Just ask and we'll do it all! Everything can, probably, be gotten from your website. ►► Package "B": includes the following features: Maximizes a manufacturing company's POOL and SPA website presence and helps direct traffic to their Preview Page and website, through the use of linked images, keywords and catch phrases. Links throughout the Q and A archives and Glossary, function as "sponsored links" and make this feature especially effective. Every effort will be made to randomize the contracted website features, so that the exposure is mutually beneficial. Preview Page (2 pages in length) with a product listing on the "Pools and Equipment" and "Spas and Equipment" Manufacturers Pages and linked to the manufacturer's own website. Placement of 6 or more Linked Images, size 150 X 112 pixels, in the Q and A on 6 Pool AND Spa Problems pages of your choice and linked to the manufacturer's Preview Page. Up to 50 linked "catch phrases and keywords," throughout the archived Pool and Spa Q and A Pages and Glossary, that are linked to the Preview page or the Manufacturer's website. Functions as strategically located sponsored links. A real traffic booster! Placement of a single or group of linked still images, up to 300 X 225 pixels in total size, on a Pool and Spa Problems Page of your choice, if still available. All images will be linked to a Preview Page. If feasible, a new subject page will be created, at no additional cost. Listing in the Table of Contents. 1-image or graphic, 150 X 112 pixels, JPG or GIF. 2-grouping of images and/or graphics, up to 300 X 225 pixels, PGN, JPG or GIF. Optional New Product Spotlight Feature: helps to introduce new products to consumers, distributors and dealers. Utilizes a panel area of approximately 150(W) by approximately 500(H) pixels on the "New Pool and Spa Products" Page, accessible from the Website Store and Test Equipment Store Pages. This insertion is linked directly to the Preview Pages. Images should be PGN, JPG or GIF. Insertion will be for a period of 1-year. Payment accepted by company check or credit card.